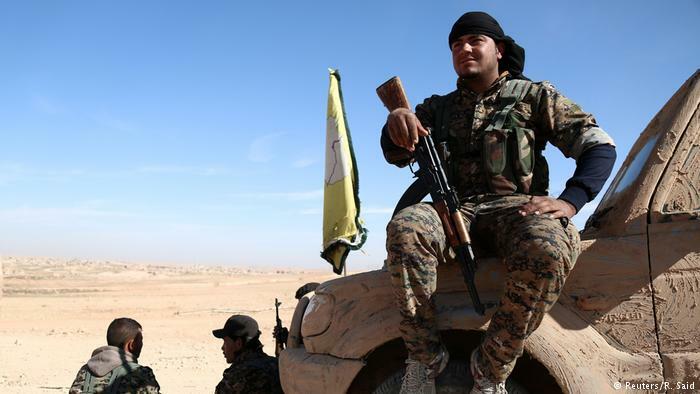 SDF Preparing ‘Security Forces’ To Keep Control Over Raqqa 1 out of 5 based on 1 ratings. 1 user reviews. Yesterday, the Syrian Democratic Forces (SDF) graduated the first batch of security forces that will keep control over Raqqa city after capturing it. According to opposition sources, several Arab forces, including Shams al-Shamal forces and Al-Nukhbah forces, are preparing to take part in capturing Raqqa city. The United States is working to strengthen and expand the influence of the Arab factions in the SDF before the launch of the final attack on the Arab-majority Raqqa city because of a concern of the Arab Syrians of the fact that the majority of the SDF are Kurdish militias. The SDF in Hasakah city received a new batch of weapons and ammunition from the United States. The batch included 100 trucks loaded with ammunition, ATGM – mostly TOW – as well as, US-made M4 and M16 rifles, 40mm MK 19 grenade launchers, the shipment also included armored Humvees vehicles and trucks. The SDF received the shipment between 15 and 20 May, and is the second shipment in two months. However, the SDF have not yet announced the official receipt of weapons from the USA.